I was absolutely thrilled when Kelso Wood agreed to fly to Sydney, to be my special guest on Sky’s “Inside Racing” a few years ago. The plan was to get him on an early flight out of Brisbane, then have him driven to the French’s Forest studios, where the interview would be taped. I’ll never forget how upset he was, when a traffic problem near Brisbane airport saw him miss the flight. A couple of years later we got to have a long talk by sheer accident, when he hit the wrong name on his mobile contact list. Kelso started his racing life as an apprentice jockey in Brisbane, but increasing weight soon redirected him into a training career in Sydney. During his years at Randwick, he earned a reputation as a master conditioner, and an astute judge. He took those skills back to Queensland in the 1980’s, and put them to good use over the next thirty five years, winning hundreds of races. He combined with jockey Mick Pelling in 1993, to win the Group 1 Doomben $10,000 with Unequalled. Kelso guided the career of Sizzling to win seven races for $1.3 million. The Snitzel colt put together a dazzling sequence of wins as a two year old- the Ken Russell Memorial, the Doomben Champagne Stakes, the Sires Produce Stakes and the T.J. Smith Classic (now the J.J. Atkins). As a 3 year old Sizzling added the Queensland Guineas to his CV. The lowest point in Kelso’s career, was the devastating protest result that cost him a Magic Millions Classic in 1998. His charge Prince Regent with John Marshall up, won the big juvenile race from Molokai Prince but the stewards reversed the decision. The master horseman enjoyed great success with horses like Real Surreal, Sea Breeze, Criquette, Into The Red, Belltone and High Classic, dual winner of the prestigious Grafton Ramornie Hcp. In recent years Kelso had shared training duties with long time staff member Patricia Gesler, who last week spoke glowingly of her friend, as a man and a mentor. They jointly saddled Kelso’s final runner in May of this year. How fitting it was, that Delago Edition was able to bring down the curtain on his distinguished career, with a win at Ipswich. 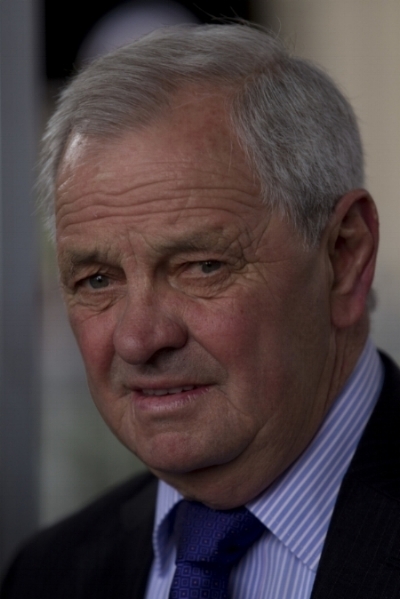 Kelso Wood, aged seventy four, died in Brisbane last week (Sept. 5th) after a lengthy illness. His passing drew heartfelt tributes from all sections of the Brisbane racing industry, none more poignant than the one tweeted by Chris Munce. “I never rode for a better trainer than Kelso Wood”, said the former champion jockey. Sky Channel have archived hundreds of interviews recorded over the years with legendary racing people, and Kelso Wood should be amongst them. I wish he hadn’t missed that plane.